Reading connects and transports us to a different time and place. That experience becomes even more meaningful when it’s possible to encounter and interact with related historic objects and places while hearing little-known, yet meaningful stories. 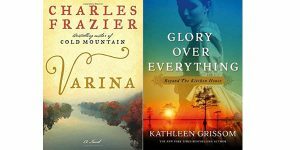 Join us at Historic Rosedale Plantation for a moderator-led discussion of selected bestsellers. What makes this program unique is that we also provide a specially-designed house tour, bringing to life the past and literature, sharing oral history, and spotlighting artifacts rarely seen outside our archives. Reservations are required and space is limited. Private tours can be scheduled for groups or book clubs at other times and dates. Please email roseedu@historicrosedale.org to schedule yours.